2 rooms and 4 breakfast is a special listing for 4 people travelling together. You will have 2 separate deluxe rooms with 2 real beds - a special large king size bed- with 2 private bathrooms including toiletries. In each room you will have a working table, Flat screen TV with 86 TV Indonesian and international channels, 2 mineral waters, 4 pillows, a private balcony in front of your room that overlooking to the garden and free WiFi at all rooms. During your stay you will have a full access using our public swimming pool, enjoy our food at The Ambengan resto and bar and enjoy a 20% spa discount. Don't forget to see Bali using our transportation service or select one from our tour selection. 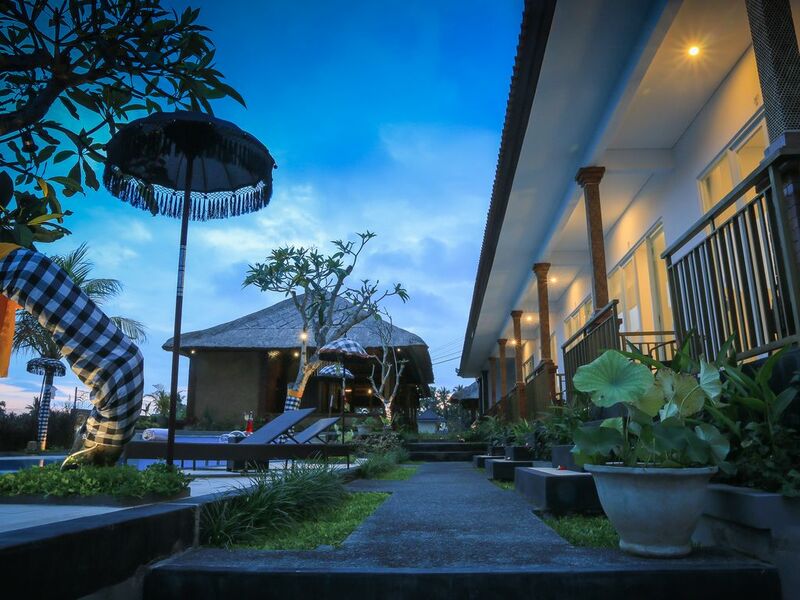 Walking to Ubud center is also easy and it takes only 10 minutes walking distance.